Today's Inspiration: The Art of Carl Erickson: "Easy or Impossible"
The Art of Carl Erickson: "Easy or Impossible"
"It was Victor Hugo, I believe, who was asked if the writing of epic poetry were not tremendously difficult. His classic reply, "Easy or impossible! 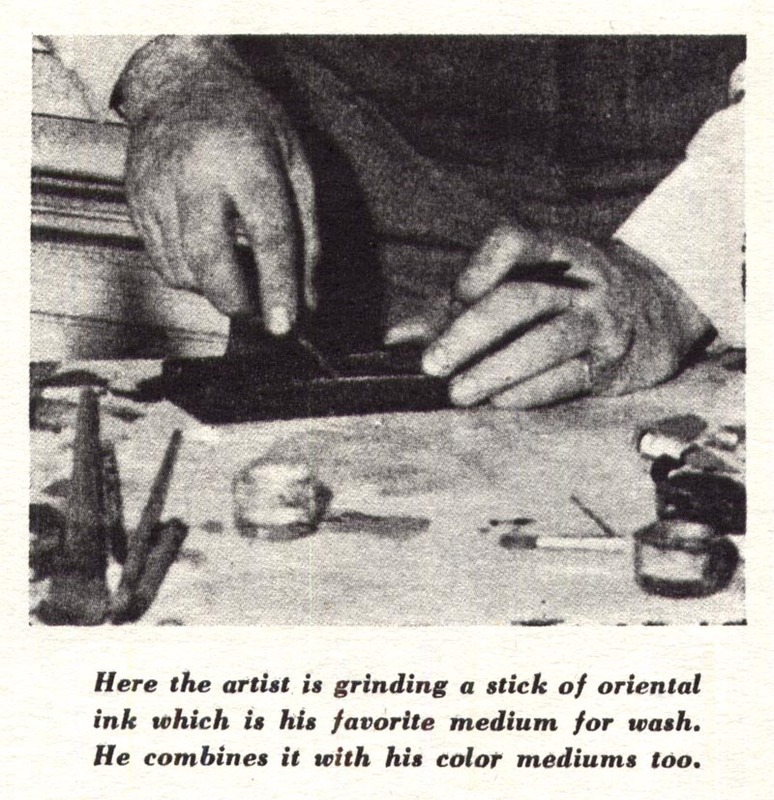 ", may appropriately be applied to such drawings as come from Erickson's inspired brush. They give the impression of having sprung to life without suffering the usual labor pains." "But his performance looks too easy; its nonchalance is deceptive. It is not accomplished without a struggle." "Erickson, indeed, is a hard-working man, a very serious artist who is usually practicing when not actually performing. 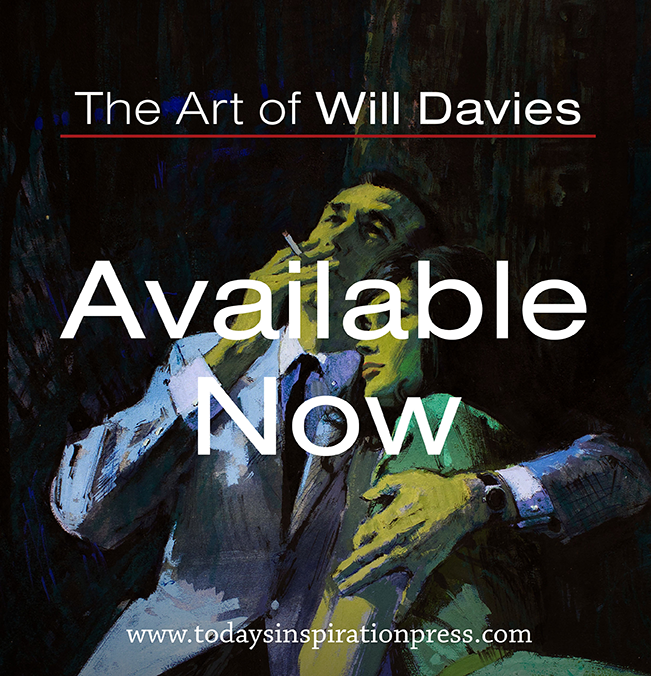 For every piece of work reproduced in the magazines he has made dozens of studies. In spare moments he is usually busy drawing or painting from the model - he never draws without a model - and his sketchbook goes with him to the restaurant and the theatre." "Although few are aware of it, he has done a lot of painting in oil, principally portraits." "All of which is no denial of Victor Hugo's epigram. Erickson's particular genius is pretty much a gift of the gods, even though he has met the gods considerably more than half way." "Erikson's line drawings are usually rendered in Wolff pencil, charcoal or chinese ink. This latter comes in cakes or sticks which have to be ground in water in a small mortar designed for the purpose. It will yield a jet black or produce any tone of gray, depending upon the saturation of the mixture." "Erikson's art is primarily an art of line." "Color may be added, as more often than not it is; but the net result is a colored line drawing. [He] is an impulsive worker. Standing at his board, which is tilted at a slight angle, he attacks the paper with a free arm thrust that reminds one of a fencer wielding his foil. The drawing isn't always good. Indeed the studio floor may be littered with innumerable trials before one is certified by that well-known fixture, "Eric". "There is no such thing as "fixing-up" an Erickson drawing: if it is not right as it first springs directly from his hand, it must be discarded and a fresh attempt made. The artist would no more think of going back to correct an error than would a musician during a concert performance." * Many thanks to everyone who assisted with this first foray into fashion illustration - rest assured there will be more to come! * My Carl Erickson Flickr set. Leif, Thank you for dedicating this week to Erickson. What a treat to see such dedication to draftsmanship, and bravo to you for championing his talent regardless of whether its serving advertising, packaging, editorial or fashion. 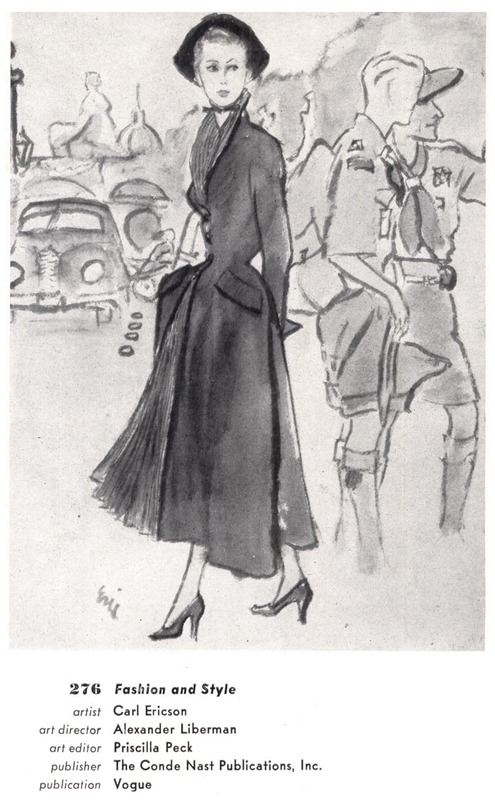 Drawing from a model for an illustration and drawing from life gave his art a vitality not easily duplicated. I have enjoyed this weeks look at Carl Erickson's work. Ahh, that great Eric line quality. 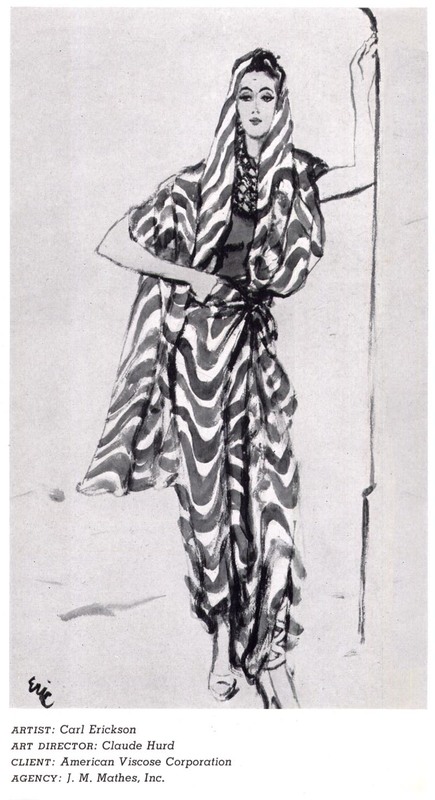 As an illustration major, at Art Center School in L.A., I had to take a fashion illustration class. Working from live models, I was doing my best to equal the beautiful line quality I admired in those deceptively simple drawings Eric did. This was about 4 years after his death, but his work was still a powerful influence on illustrators and students alike. Well, I won’t tell you that I would have been any competition to Eric, had he been living, but his influence apparently sunk in just enough to impress my instructor. 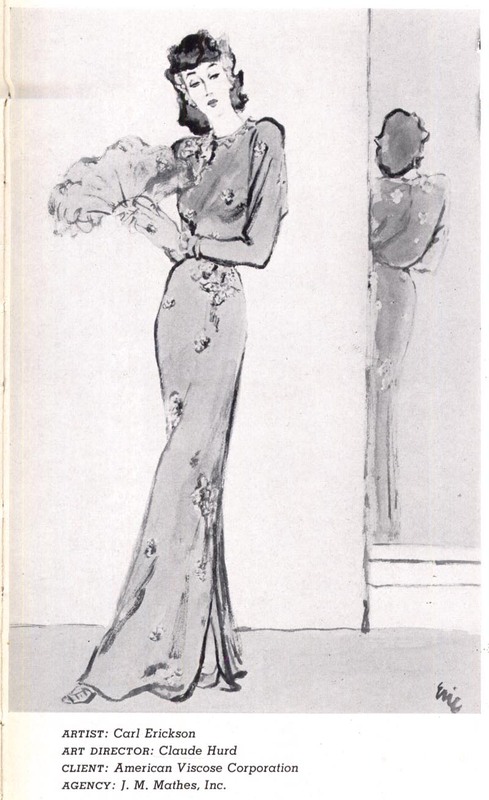 He was the head art director for Broadway department stores in Los Angeles, and he offered me a full time position as a fashion illustrator. I was very flattered, but turned the offer down, because I didn’t want to stay and live in L.A. or do just fashion illustration... we referred to it as being "stuck in a pigeon hole". I think I would have become bored before long, since I enjoyed trying new approaches and directions in illustration. 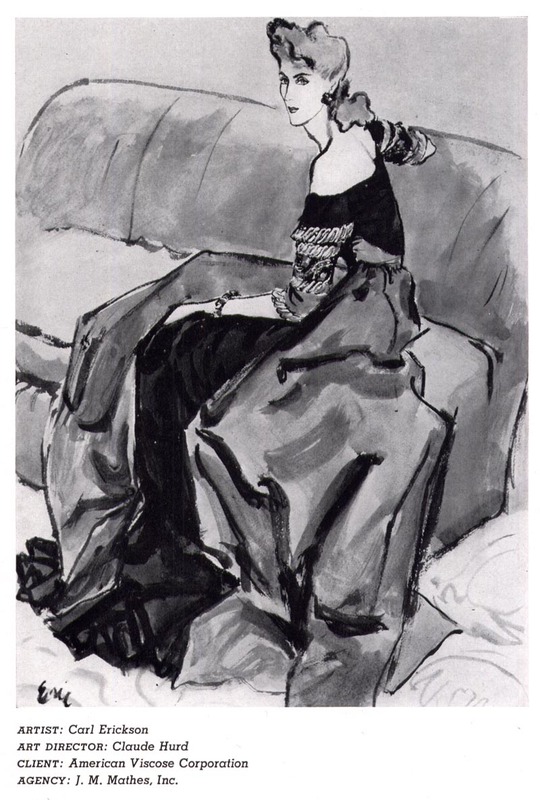 Eric, Potter and Bouche were my number one, two and three greatest inspirations for fashion illos. So, needless to say, this was a special TI week for me, recalling some old memories. 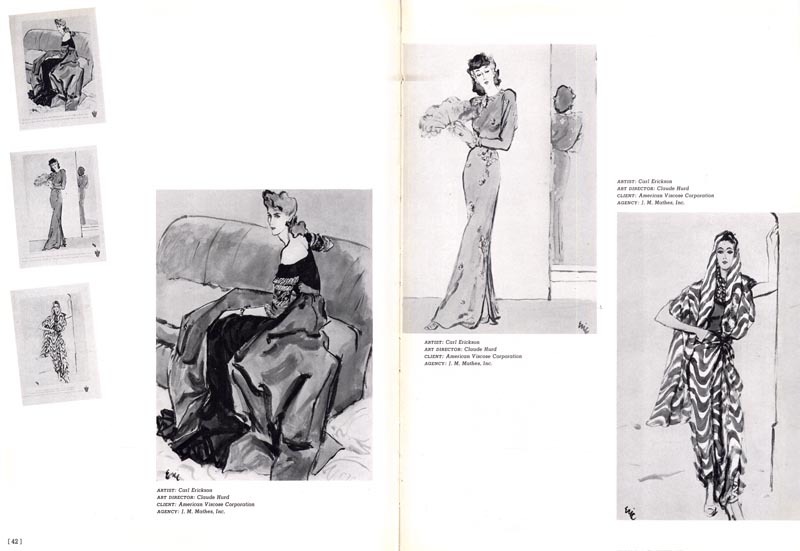 Thanks Leif, for introducing a nice variety of examples and your "right on " comments about the king of the fashion illustrators. you created a candy store of goodies for us this week and we loved every delicious illo!!! I really enjoyed this week, Leif. You've definitely provided some serious inspiration! I've got the drawing bug! Ever hear Sarah Vaughan sing the song "Doodlin'"? You've got to track down her version. It's like the story of our lives. 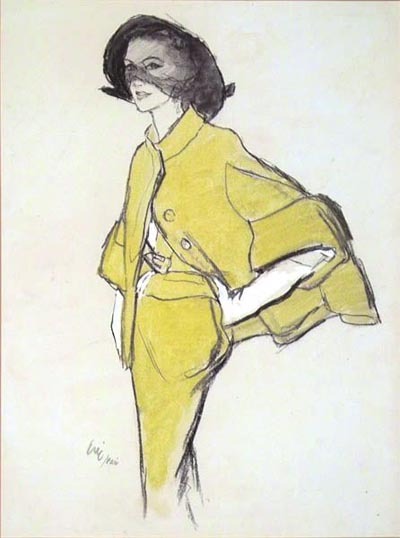 Leif, as a fashion illustrator and faculty at the Academy of Art University in San Francisco, I am going to share this link with my students! 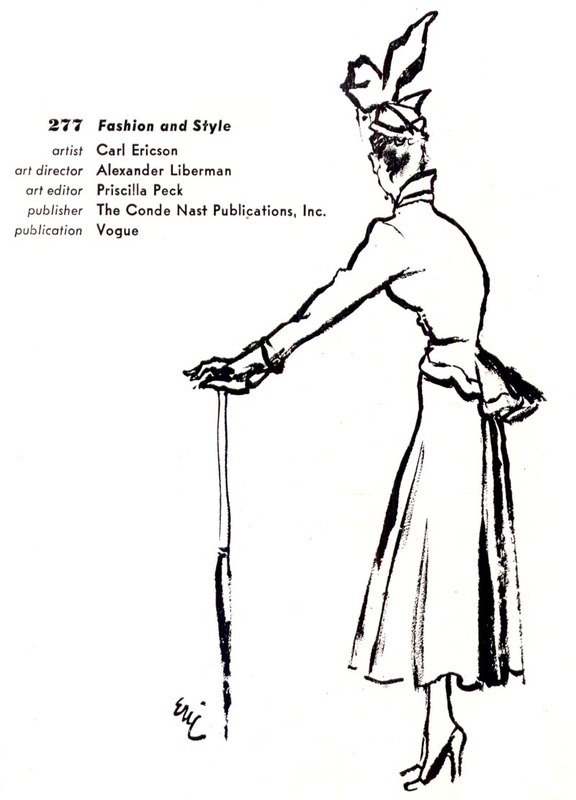 Great content, images and appreciation of one, The Line, and of fashion illustration in general. Glad I found your site - actually another artist turned me on to it. man’s hat brim and shoulder form a path for his look to travel on. These sentiments are from Walt Stanchfield in his description of use of line in gesture. He is talking about the Cab Driver you already have on your site, and a woman looking into a mirror to observe herself when doing her make up. Has anyone seen his oil paintings?